Time after time, I post a paper thinking that it’s done and dusted only to find additional or conflicting references in the following weeks and months that demand incorporation into the analysis. So it has proved with ‘Thursley revisited’. 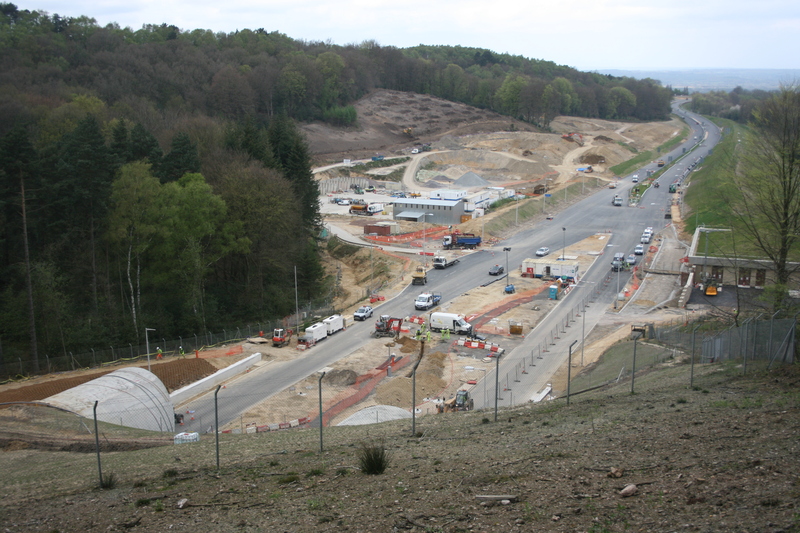 Yesterday, I found the grey literature post-excavation assessment report on the archaeological works carried out as part of the A3 Hindhead Tunnel project. In amongst a wealth of information from a series of sites along the route of the above-ground sections of the new road, it gives further information on the peat deposit of early/mid Anglo-Saxon date from Boundless Copse, some two miles/three kilometres due south of Thursley village. In my paper I mistakenly termed it a pollen sequence, whereas it turns out that the dating comes from the reanalysis of two peat deposits recovered in the 1990s. Initially, they were dated Late Bronze Age to Iron Age on the basis of a palynological assessment (page 40), but subsequent radiocarbon dating returned dates of AD 580-675 for the lower deposit and AD 650-810 for the upper deposit (page 41 Table 9) – thus coinciding with at least some of the period in which post-Roman, non-Christian religious activity at Thunres-lēah can be assumed on the basis of the theophoric place-name. The report envisages formal publication of the archaeological work in a future edition of the Surrey Archaeological Collections (as well as a 20-page “popular booklet”). It is to be hoped that this will encompass the results of detailed analysis of the pollens from the peat cores as a means of reconstructing the post-Roman environment of the locality. Quite when these results will make it into the public sphere is anyone’s guess. One glimmer of hope is that the work has already been undertaken and will see the light of day as part of the book to be published as the culmination of the University of Exeter’s The Fields of Britannia project. The project’s homepage will tell you all you need to know about the aims of the project and its achievements to date through a series of interim reports; the third of these, entitled ‘Inherited Landscapes’, looks more or less identical to an article of the same name published in the most recent volume of the journal Medieval Settlement Research (volume 27, pages 57-64). In it is the statement that one aim of the project is to “re-analyse and evaluate all published and non-published pollen sequences from the province of Roman Britain” (page 3 of the interim report) and – from the looks of the accompanying map of Roman-medieval palaeoenvironmental sequences – the Boundless Copse peat deposits are within their number. Publication of The Fields of Britannia book is hoped to happen in 2013-14; experience suggests it will happen later rather than sooner. In the intervening, I think it’s time I did a final, final rewrite of my paper.